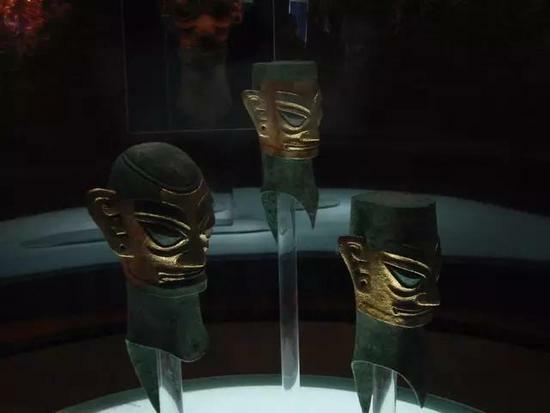 The culture of Sanxingdui, an archaeological site in China’s Sichuan province, will be the subject of an animated movie titled “The Golden Mask,” according to a promotional event held on Nov. 28 in Chengdu, capital of Sichuan. Targeting an international market, the animation introduces the history of Sanxingdui. “The Golden Mask” also features fantasy, adventure and time travel. The animation will be created using 3-D digital technology in accordance with IMAX standards. Its worldwide roll-out is expected to occur in 2019. Located in Sichuan’s Guanghan, Sanxingdui has a history of between 3,000 and 5,000 years. Some people believe aliens might be behind the mysterious relics, since a number of bronze statues with alien appearances have been spotted at the site. It is hailed as one of the 20 greatest archaeological discoveries of the 20th century.